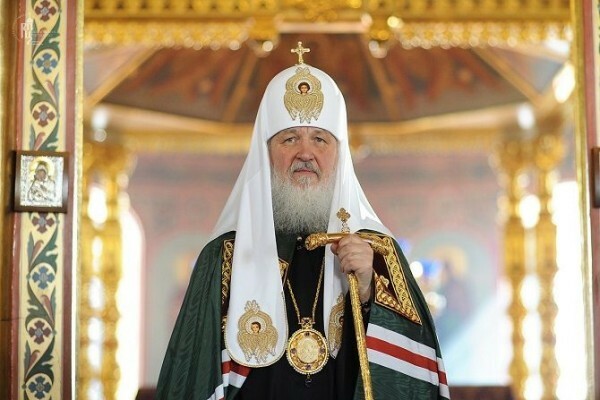 Oryol, July 28, Interfax - Patriarch Kirill of Moscow and All Russia said he is hoping that the big cross procession held in Ukraine will mark the beginning of true reconciliation of the people. “I hope to God that this cross procession will mark the beginning of a true process of people’s reconciliation in Ukraine so that the people understand that those who do not share their political, cultural and even religious views are not enemies, that today’s world, if it wants to stay united, and any country, let alone Christian, if it wants to stay united, should not wipe off the road people who are disliked and do not share the views of those have power at this moment using force, terrorism and suppression, but that true conciliarity, which they talk about often in Ukraine, true unity should be based on peace, mutual respect and love,” the patriarch said after a liturgy held in the Epiphany cathedral in Oryol. “We heard that the Ukrainian Orthodox Church called the great cross procession to be able to pray for the unity of their people, for the reconciliation of the enemies. People came with icons, holy things, they walked hundreds and hundreds of kilometers just praying, but it was hard to see when someone, wishing to take the hell they had in their own soul to others, began accusing those innocent people of political intentions, of planning coups, of threatening national security, and God knows what else,” the patriarch said. He said he regrets that he cannot visit Kiev “for obvious reasons,” although he “used to love” to be with the people of Kiev on this day. According to earlier reports, the cross procession in Ukraine began in the eastern part of the country from the Svyatogorsk Lavra on July 3 and in the western part of the country from the Pochayev Lavra on July 9. Radicals tried to obstruct the procession in some regions. On July 27, before the Day of the Christianization of Rus, participants in both processions met in Kyiv and walked in the center of the Ukrainian capital. The cross procession, which was several kilometers long, had up to 100,000 participants. Metropolitan Onufry of Kiev and All Ukraine prayed with the clergy and laymen near the memorial cross on Grushevsky Street for the peace of the souls of everyone killed during the tragic events on the Maidan in February 2014.